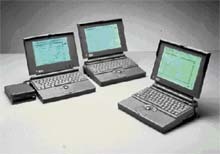 Early in the Design Consortium's history, we were called upon by Apple Computer to independently confirm the value of the newly designed, but not yet released Powerbook laptop. 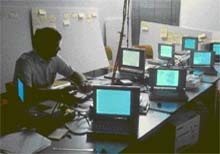 Using the PVMsm process, the Design Consortium's predictions confirmed what Apple expected - that the Powerbook would be valued much higher than existing laptop computers. Moreover, our PVM analysis provided a detailed, independent evaluation that Apple included in the original Powerbook launch release package and sales presentations. A year later, a follow-up study showed that PVMsm had accurately predicted the market performance of not only the Powerbook, but all of its major competitors with a high degree of accuracy (correlation = .85, p<.01). The Powerbook and its competitors retained or lost street price in direct relationship to each product's PVM "score". PVM's ability to predict financial market performance has been demonstrated many times since this original work. The use of PVM to predict market performance received national recognition when this project won an IDEA award from the Industrial Designers Society of America and was featured in Business Week magazine. All rights reserved. May not be used without express permission.